There's a new hidden item in the new Snow and Sports Catalog. It's a silver Surfboard! Now you can buy the Silver Surfboard! What an awesome hidden item! Are you going to buy it? It sure will look cool playing "Catchin' Waves" with a silver surfboard. Here is where you can find the newest hidden pin. Step 2. Click on, "Town." Step 3. Now go to, "Night Club." Step 4. Go to the Boiler Room located inside the right speaker (did you know that?). Step 5. Click on the baseball on the side of the boiler. Now you have the newest hidden pin, the baseball! Here is an added bonus: The pin will appear in a slightly different place depending on how you go to the Boiler Room. You can get there two ways. Check it out. It's only Wednesday and for some reason the new newspaper is out a day early! How weird is that? I wonder if they messed up. What do you think? The big change in the Sports Shop will be that Wake Boards will be available to buy this Friday. Awesome! It will make Ballistic Biscuit so much more fun! We can't wait! In other news, the new pin will be out Friday. Check us out, we will stay up late to have the newest pin cheats right here. And for those of you wanting to be Club Penguin Gang members, please be patient. We are working on some sweet membership ideas. We'll keep you posted. Rockhopper's gone but he's coming again. He's bringing some stuff back for all his friends. Last time he was here, he dropped off some creates. I can't wait til he opens it, won't that be great? But what's inside, a game, a sword, a hat or a ring? I want to be a part of his terrific pride. Until he comes back to see us in the fall. Step 1. 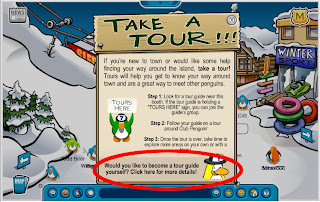 Open your Player Card by clicking on your penguin. Step 2. Remove everything your wearing except the Stuffed Parrot. Step 3. Close your Player Card. Step 4. Now open the Player Card again. Step 5. Remove the parrot and put on the Tour Guide Hat. Step 6. Keep your Player Card Open, then wave. Now watch your Parrot in action! So cool! Try this using other items with special dances, like the apron. Anyone find any cool variations? Thanks tochie44 for the glitch! Well, Rockhopper's gone, but the Camp Penguin Party is in full swing! So, if you want to find the newest free item then do the following. Step 2. Click on "The Cove." Step 3. Find the several Marshmallows on a stick near the edge of the water. Step 4. Click on them! After you get the new Marshmallow on a Stick, check out the rest of Club Penguin. They have the place really decorated cool for the Camp Party. Be sure to check out the "Mess Hall." Try to use the pizza emote right now and you'll come up hungry. That's because there's a glitch. But what a cool glitch. So, now you can waddle around and tell all your penguin buddies... nothing. Or just give them a slice of your invisible pizza! Tasty. Enjoy this glitch before they fix it. It shouldn't last long. Why yes you can! Club Penguin is finally putting all those rumors to rest. They are working on a way to become a ninja but it won't be easy and involves the new secret room. It's all coming soon! 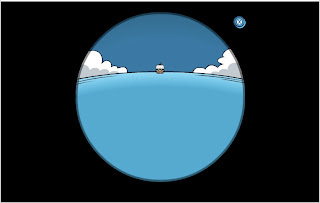 While searching for Rockhopper tonight, we came a cross a cool glitch. When you first enter a very busy room, you will notice for just a second that every penguin in the room is blue, except for one, me! As you can see from the picture, me, Mimo777 is the only penguin in the room that isn't blue. 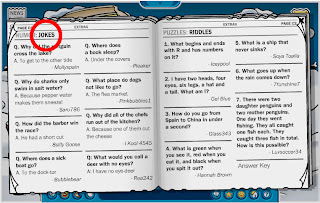 We know it can be very frustrating trying to find our favorite penguin, Rockhopper. But we have a few more tips in locating our him. With a little patience, you will find him. Take your time, you can do it. 1. Time of day: First, if you can, stay up late. It helps when there are fewer people playing. 2. Server selection: Take a look at which servers are busy. 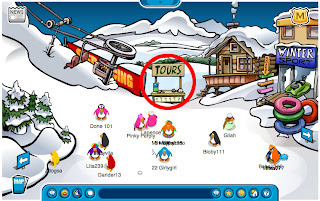 If you see two or three busy servers, chances are Rockhopper is in one of them. 3. Getting into a busy server: Here is where you need patience. Click a busy server, like "Parka." After you get the message, "This server is busy." Click ok, then try it again. Many penguins are always logging off at any given time. So, do this over and over until you get in. Believe it or not, you will get in. 4. Getting into a busy room: The same rules apply for getting into a busy room. JUST KEEP TRYING! Rockhopper will probably always be in a busy room. Keep, trying, keep trying, keep trying. 5. Rockhoppers ship: Penguins like to gather at The Beach near his ship in hopes of getting into the Cargo Hold of his ship. They think he will be hanging around it. When you get onto the ship, it takes some good mouse work to click on the doors to the Cargo Hold. Usually, there will be tons of penguins blocking the doors. Don't worry about this. If you hang out a while, penguins will usually move around enough where you can actually click on the door. And of couse, it will be busy. But keep trying. 6. Don't give up: While all the other penguins are screaming, "WHERE'S ROCKHOPPER?!" over and over, you just keep clicking, keep trying. Don't listen to anyone when they say they know where he is, just keep trying. And after all your hard work, you will be able to say, "I found Rockhopper!" Here's how to find the new Club Penguin secret Tent. Step 1. Click on the Map icon in the lower right. Step 3. Look to the left of the mine in the snow. NOW YOU HAVE THE NEW CLUB PENGUIN SECRET PIN TENT! Just in time for the caming party! 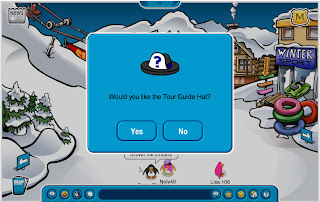 Rockhopper's rockin' Club Penguin again! He has a new free item - a Stuffed Parrot. He also has several new items for sale. Here's is how you can cheat to find him. Step 6. Click on the "Stuffed Parrot." Also available for sale are Ancient Penguin Monument, Wall Tresure Map Background and a Feathered Hat. He's back so soon! Go find him now! He still is giving away the Rockhopper autographed background. Many of you have asked about joining Club Penguin Gang. We haven't allowed anyone to join yet. But we will! We are trying figure out the best way to let new members in. Please be patient. In the mean time, do you have any ideas? We can't let just anyone in. We need to make this an exclusive club. If you have a good idea, post it in the comments. In other news, ROCKHOPPER IS NEAR! He will be here this Friday. Also the new pin and new catalog items will be available Friday as well. We will be the first to post all these cheats! Everyone knows you can play a big screen version of Club Penguin, but did you know you can play a small version of Club Penguin? Here's how. 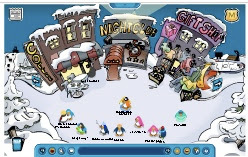 First log on to the Big Screen version of Club Penguin or click here. Now simply resize your browswer window as small as you want! This will not work with the regular version of Club Penguin. Using FireFox we can go really small! How small can you go? 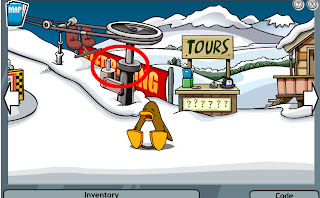 Did you know there are hidden jokes on Club Penguin? Here is how to find them. Step 1. Click on the newspaper icon in the upper left. Step 2. Click to the Jokes page. Step 3. Click on the word, "Jokes" in the upper right of the newspaper. You will see 2 more jokes! We love it when they hide stuff. We love to find hidden stuff. 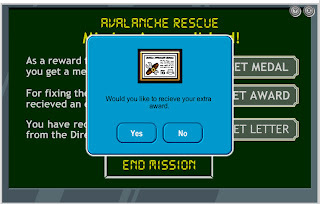 If you have complete Mission 4 Avalanche Rescue, make sure you get the extra award. Here's how. Step 1. Anytime before you finish the mission, go to the "Winter Sport." Step 2. Find the penguin with the belt. Take the belt and put it in your inventory. Step 3. Leave the shop and now click on the ski lift pole. Step 4. 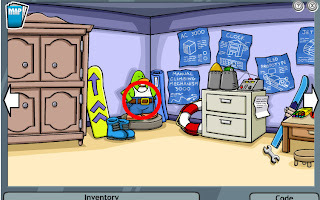 Drag the belt from your inventory onto the ski pole. Step 5. You must finish the mission in order to get the extra award. Now you have the extra award! We missed it the first time. Did you? 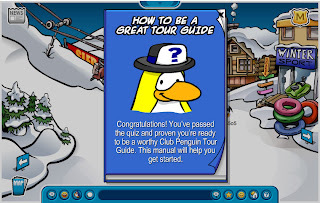 If you haven't completed the mission yet, click here to view the SMART CHEAT GUIDE. Here is a cool cheat guide to find your way through the mission. You can only see the steps you need to finish the mission. Good luck! Click here to view the SMART CHEAT GUIDE to Mission 4 Avalanche Rescue. You must be a Secret Agent to participate in Secret Missions. Here is how you start the mission. Step 1. Click on your player card. Step 3. Click on the "Top Secret" folder in the lower right. Step 4. Click on "Avalanche Rescue" to begin the mission. It's an awesome mission! Let us know when you finish. We will post a SMART CHEAT GUIDE shortly, so check back later.